Vitamin C is one of the most powerful all around supplements to dramatically improve your health and prevent injuries to your tendons and ligaments. You think you already know this, but there is so much more to know. Scurvy is the disease of Vitamin C deficiency, in the old world, sailors on long journeys without access to fresh fruits used to suffer and eventually die from internal hemorrhaging. Humans, unlike the rest of the animal kingdom, can't produce their own Vitamin C and must get it from diet or supplements. Without Vitamin C your body cannot produce the connective tissue necessary for the proper strength and integrity of your body and your vascular system. In cases of scurvy, you begin falling apart! Your immune system weakens, your muscles and joints hurt and are weak, then your teeth fall out and eventually an artery ruptures and the scurvy mate bleeds to death internally. This is what bruising easily is an early indication of. A small bump into a table, for example, leads to large bruises because the tissue isn't strong enough for the impact. Same with Rolfing. Rolfing should not cause any bruising but if it does it is usually a vitamin c deficiency. The health of the local capillaries is poor and can't absorb the pressure of the bodywork. I have also had patients with inexplicable pain in their spine and joints which the anti-inflammatory qualities of Vitamin C has helped immensely. Vitamin C will strengthen your connective tissues, your immune system, reduce inflammations, speed healing and improve your overall health, it, just as you had heard decades ago, is a must use daily supplement. But perhaps even more importantly…. What is the #1 cause of death in the USA? Strokes and heart attacks. Both are cardiovascular disease that are 100% directly related to Vitamin C levels. Proof? that's easy- Linus Pauling PhD- the only man in history to receive two unshared nobel prizes demonstrated conclusively that CVD, strokes and heart attacks were caused by lack of vitamin c and were in fact forms of pre-scurvey. You simply must study the subject more on your own, a great place to start is paulingtherapy.com When the body does not get enough vitamin c daily, the high pressure arteries in the heart begin to weaken. To prevent a rupture of these critical arteries the body secretes cholesterol to shore up the walls from the inside. It is an emergency action of the body to save your life! But medicine doesn't pay any attention to this knowledge and prescribes cholesterol lowering drugs, and now you know why they don't prolong life. In December 2014 I had a 64 year old Rolfing patient who went to the emergency room over the holidays due to chest pains, shortness of breath and was diagnosed with 25% heart function and a grim future. I immediately informed him of Pauling's work and he began a regular regimen of large doses of Vitamin C & lysine. He was not living a healthy lifestyle and he didn't change his ways, diet or exercise. He called me in September 2015 to happily inform me that his heart function is now perfectly normal and he had felt normal after only 1 month on the therapy! What changed? The addition of the Pauling Therapy. Not all Vitamin C is created equal! Any vitamin c will do the job to reverse heart disease as long as you take enough of it (and along with lysine). But there has been a new breakthrough in vitamin c technology in the last 5 years that increases its absorption by 5 fold without disrupting digestion. I make this type of Vitamin C myself with an ultrasound machine, ask me about it if you are interested! It's called lyposomal vitamin C and I can't recommend it highly enough to you. It can't be stated more clearly, heart attacks & strokes are pre-scurvy, they are easily and cheaply prevented and reversed. Cardio Vascular Disease should be relegated to the past, there is NO reason for anyone to ever suffer from this collection of conditions ever again. Study paulingtherapy.com Support your friends and family members that are at risk of heart attacks and stroke to get this critical information now and let's stop this needless suffering. Liposomal Vitamin C now available at the office! Shilajit, also known as "The Destroyer of Weakness" or "The Conqueror of Mountains". Shilajit is the oldest mentioned supplement in Ayurvedic medicine, some 3000 years ago. It is considered a panacea and effective for every condition. Why? Because it strengthens the whole body. I got some while I was in Nepal, it oozes out of the high Himalayan mountain rocks as a black tar. It is extremely rich in minerals and trace minerals but in a completely bio-available form combined with Fulvic and Humic acids. It is so revered it is considered magical. I have seen it eliminate psoriasis and eczema in mere days, balance the gut, even out blood sugar, increase libido dramatically, stamina and endurance. It is the best mineral supplement you can take, but no one knows about it which is why you can't even find it in a health food store. Now I have my own secret stash that I get from Nepal available and if you want to get a bottle of that stuff ask me for it! Iodine is one of the most important and most misunderstood nutrients in the world. The thyroid gland in your throat is called the master hormone gland. Meaning it controls all the other hormone related glands and organs in the body. So when your thyroid is off then your whole body is off. To function properly your thyroid gland requires proper amounts of iodine in your diet and that is where the problem comes in. 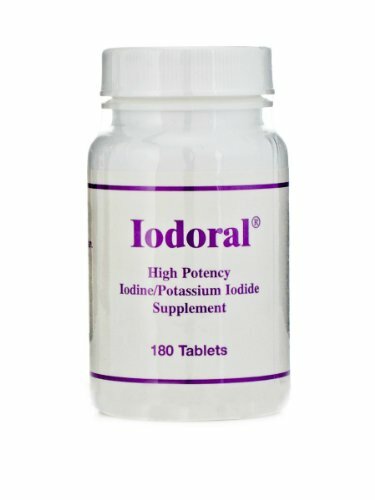 Almost everyone is iodine deficient as it is a trace nutrient and hard to get in the food which is why in the 1920s an estimated 50% of the US school children had goiter (an inflamed thyroid from iodine deficiency) and it was decided to add iodine to almost everything, not just salt (iodized salt). They added iodine to all breads and flours, to chewing gum and even cigarettes! and completely eliminated the goiter problem almost overnight. Iodine was routinely prescribed at 300mg per day for the treatment of hundreds of conditions and was one of the most revered and celebrated discoveries in western medicine. But then, in the 1960's big pharma decided it was cutting too deeply into their profits and they promoted the elimination of iodine from the diets to be replaced with bromine. Shortly thereafter all of the hormone related organs and diseases began to sky rocket. Today breast cancer, prostate cancer, pancreatic cancer, thyroid cancer, ovarian cancer, uterine cancer, testicular cancer, are all out of control All of those organs require both thyroid hormone and iodine to function correctly. And if you know anything about natural healing and the role of pharmaceutical companies cancer industry you know this has meant 100's of billions of dollars of profits for them. If you want more energy, to accelerate your metabolism, to produce more testosterone, growth hormone, to feel better, to prevent fibroids & endomitriosis, nodules, cysts, and a whole host of other serious health problems iodine will change your life. The results people get are nearly magical and you really need to read about it for yourself. 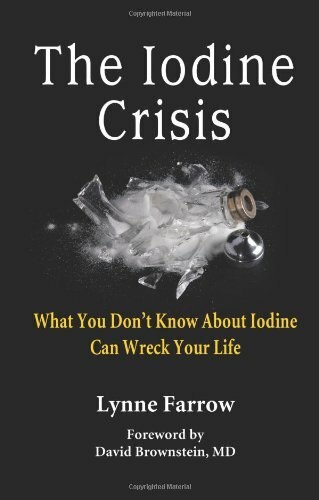 I recommend you get this book "the iodine crisis" by Lynne Farrow which just came out. This is one of my other most recommended natural treatments. Get some iodine, the liquid form is called Lugols (named after the French scientist who formulated it) and the tablets are called Iodoral. You can ingest drops of the liquid in water or apply topically (ask me about the power of that!) and take the tablets daily. Before I was a Rolfer I had a natural healing practice where I taught seminars and worked with individuals to help them to understand how to heal themselves. The first lecture in my 7 part series was called Intestinal Fortitude. If your digestion is not working optimally it affects your entire health. Digestive problems are so common that people have come to accept it as being normal. Intolerance/food allergies are not normal and you do not have to eliminate everything out of your diet to feel healthy. When your 23 foot long digestive tract is not operating properly a condition known as "leaky gut syndrome" develops, basically incompletely digested and waste materials are leaking through the digestive wall and into the blood stream. The body then has to eliminate this material somewhere else and it has three other primary elimination points. 1. The first is the skin, so skin conditions such as acne, rosasia, psoriasis and eczema have their origin in your gut. You can put cortisone creams, take antibiotics etc. till the cows come home but if you don't actually heal your gut you will never ever get rid of these conditions. 2. The second is your head! The body can eliminate waste products through the scalp, the sinuses, the ears, the eyes, the face and the mouth. So when you have frequent sinus infections, ear infections, eye problems, acne, and the big one problems with the brain- you have a digestive problem! The brain is a big one here… symptoms like migraines, cloudy head, mood swings, depression, forgetfulness, sleep problems, anxiety, Alzheimers, Parkinsons, are all the same condition. They are toxic materials from the digestion attempting to be eliminated through the head and accumulating in the brain causing damage and problems exactly in the same way that waste products eliminating through the skin causes psoriasis and eczema. Proof? I've taught hundreds of severe migraines sufferers this method and eliminated their migraines within a week in every single case. 3. The third channel of elimination when the digestion is not healthy is through the lungs. The lungs and breath can eliminate waste products as you have certainly experience yourself by coughing up phlegm when you are sick. That is the elimination of waste through the lungs. So frequent bronchitis, persistent coughs, sore throats, tight chest, etc. are accumulation of waste products in the lungs from the digestion. The solution: The solution to this large list of health problems is all the same because the cause is the same for all of them- digestion inefficiency/ leaky gut syndrome. So, how do you correct leaky gut syndrome? Clean out the digestive tract and repopulate the gut with healthy bacteria. There are hundreds of digestive cleansers but the best happens to also be one of the oldest. 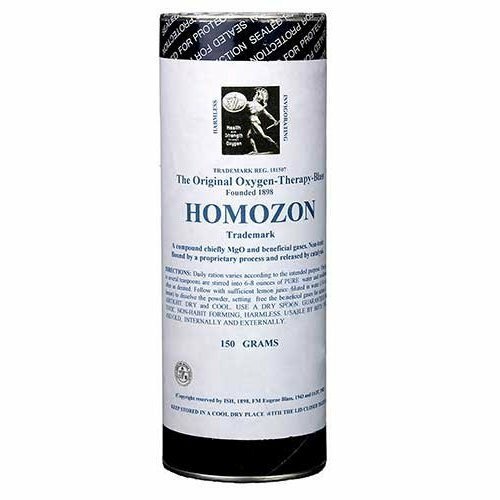 Homozon is an oxygen and magnesium based intestinal cleanser invented in the 1800's by Tesla and Blass. Order a couple of cans of this, take a teaspoon to a tablespoon at night before bed with water and lemon and in almost immediately you will begin having profound improvements. The other piece of the puzzle is adding probiotics or friendly bacteria to the body. Yes there are hundreds of products again for this and many of them are quite good. 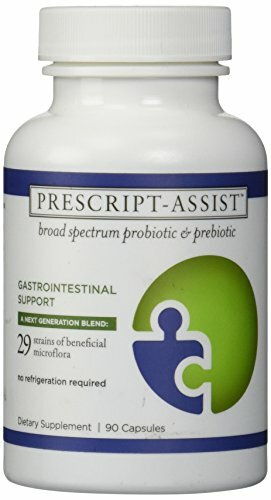 In my experience the absolute best probiotic on the market right now is called Prescript Assist. Take a few per day over a couple of months and get rid of constipation, diarrhea, bloating, gas, indigestion, heartburn, etc. etc. Finally, by correcting and actually healing your digestive tract you will make a profound difference in your overall health. It's easy: clean out the tract with Homozon and repopulate with good bacteria, it takes about two months for a new you. What can you do immediately for inflammation, bruising, sore muscles or joint pain? Get a hold of some real organic arnica. I say real, because most arnica on the commercial market has only tiny amount of the famous Arnica Montana flower which quickly relieves pain and speeds the healing of traumas. You may have seen aloe vera salves on the market and if you have ever cut open an aloe plant and used the fresh jelly on a burn you know how significantly more powerful it is than the commercial products. It is the same for Arnica. Lots of people buy traumeel, or various other commercial arnica products and do experience some benefit but if you have never used real arnica you are in for a pleasant surprise. I use Simply Botanicals Arnica healing salve in my practice and have now for years since first discovering it. It releives the pain of tendonitis in minutes. It belongs as a fundamental part of everyone's first aid closet and will help you avoid taking harsh pain killers like ibuprofen or Tylenol. For quick reference I have placed my most recommended products, books and supplements all in one amazon store. Shop there and you will find some of the most powerful and transformational resources available.